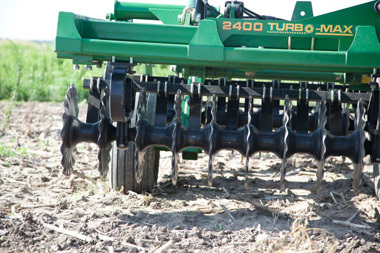 True vertical tillage has become the standard for yield-boosting seedbed preparation. 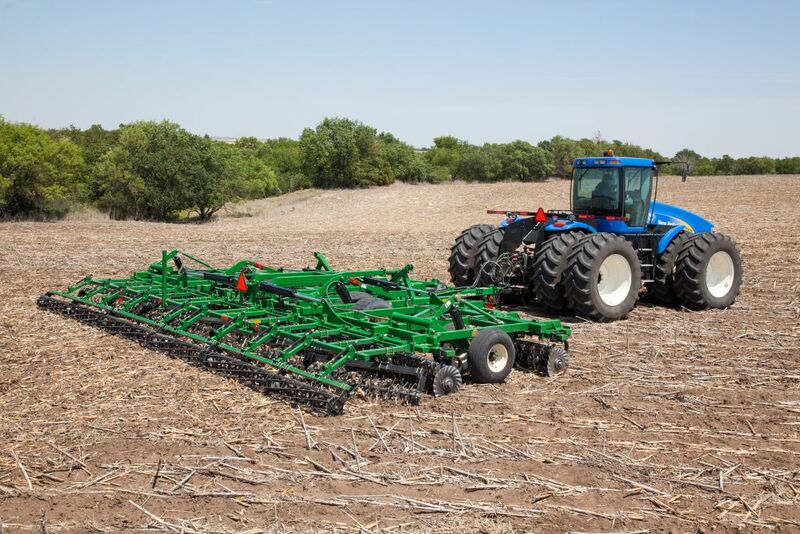 The industry-leading Turbo-Max offers agronomic benefits of both spring vertical tillage and autumn residue management. 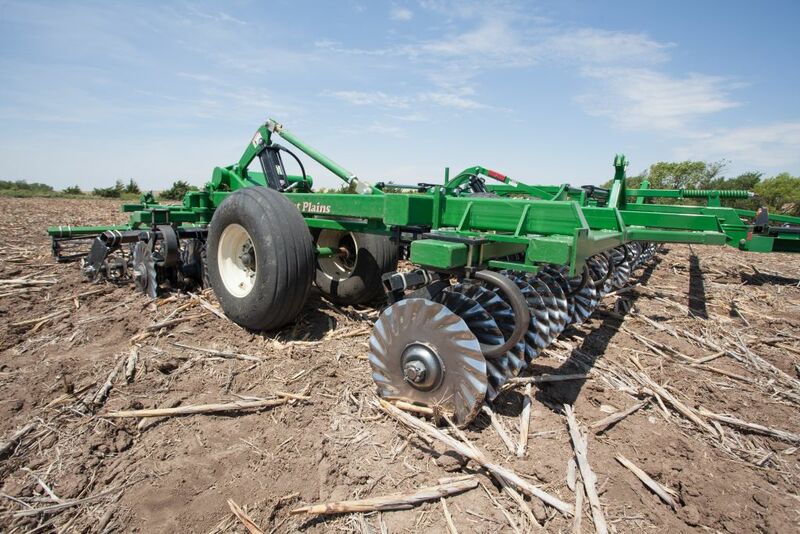 Turbo-Max blades are spaced 7½” (19cm) apart on two rows of coulter gangs. 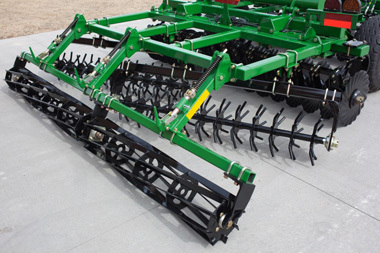 Rear gangs offset the front gangs, splitting the blade spacing to 3¾” (9.5cm) for superior residue sizing in one pass. Gang angle is hydraulically adjustable on-the-go from 0° to 6°, offering greater flexibility to match changing field conditions. In autumn, run the machine with gangs at an angle to cover more residue. This will accelerate the decaying process and prevent residue from blowing away. 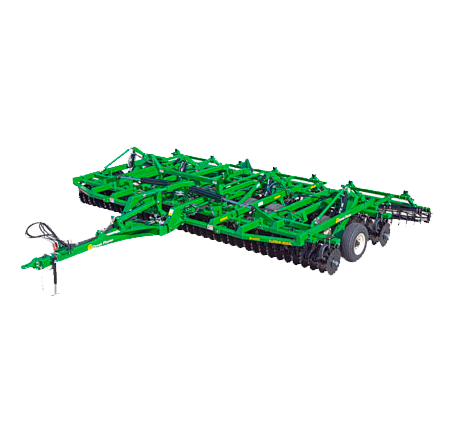 In the spring, keep the gangs straight to create a uniform, vertically-tilled seedbed perfect for planting. 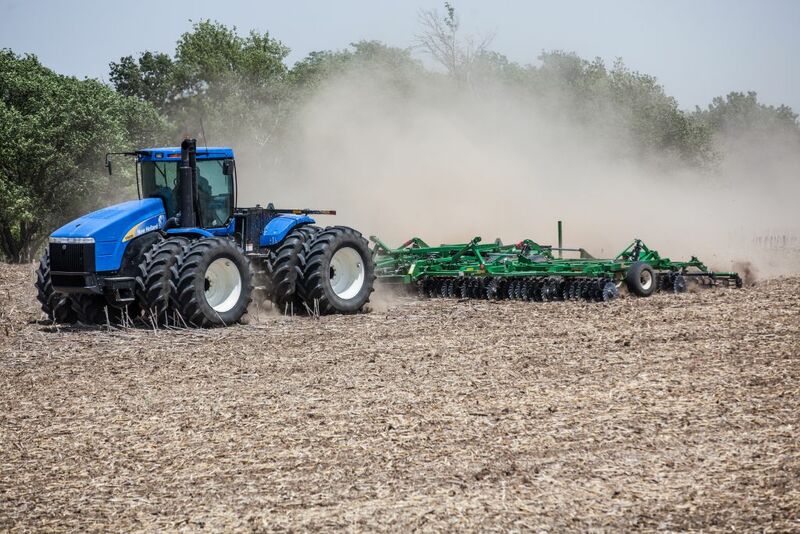 For larger operations, the 4800TM Turbo-Max model works with today’s high-horsepower tractors to meet growing labor and productivity demands. With a 48′ (14.6m) working width, this wider machine will effectively manage residue at a faster pace, addressing rural conservation and water quality issues through a large-scale reduced tillage system. 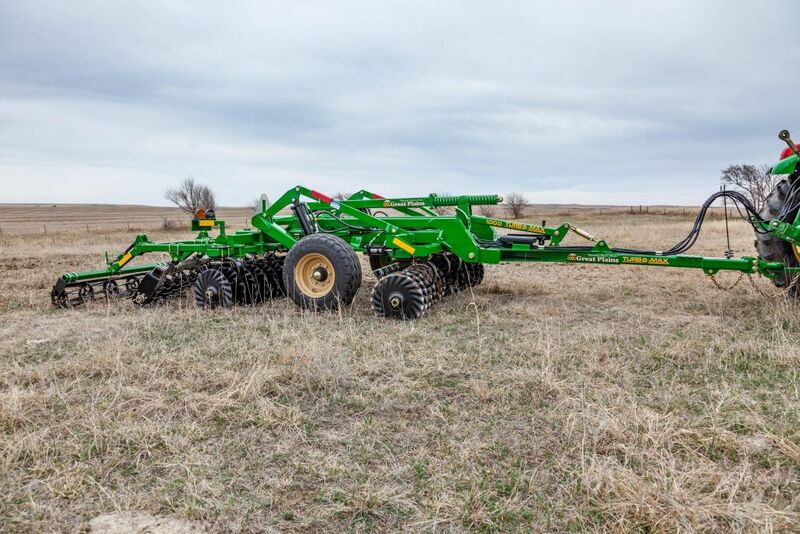 With available working widths ranging from 8½’ to 48′, Turbo-Max delivers true vertical tillage to producers of all sizes. For lower horsepower tractors, the compact 8½’ (2.6m) 850TM is ideal for manure incorporation, residue management, seedbed preparation, and aeration for grass renovation after hard grazing seasons. Running Turbo-Max can also improve water quality and contribute to conservation efforts on HEL grounds. 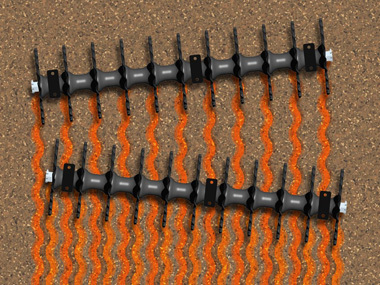 Turbo-Seeder™ cover crop attachment available for 1200TM, 1500TM, 3000TM, 3500TM, and 4000TM Turbo-Max models. Turbo-Max features two gangs — each with 7½” (19cm) spacing between coulters — with the rear gang offset from the front gang. The gangs work together to size residue to an industry-leading 3¾”. With 20″ (51cm) Turbo Coulters spaced 7½” (19cm) apart, Turbo-Max provides truly vertical cutting without the shearing caused by concave blades. 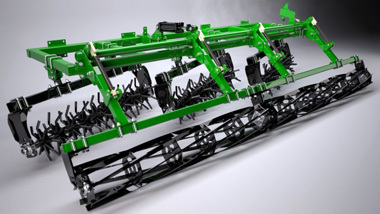 Offset front and rear gangs achieve an effective residue cutting width of 3¾” (9.5cm) when running at 0°, which is recommended for seedbed preparation. The standard hydraulic reel allows you to conveniently adjust down pressure or lift out of the ground with in-cab hydraulic operation. 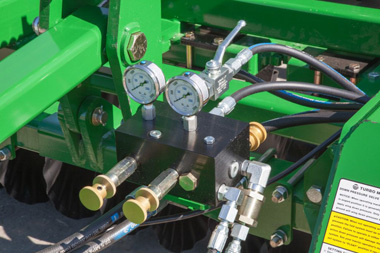 An easy-to-read pressure gauge allows for easy down-pressure monitoring from the tractor seat. This design maintains travel regardless of the selected down pressure. A hydraulic cylinder is used to preload down-pressure springs. 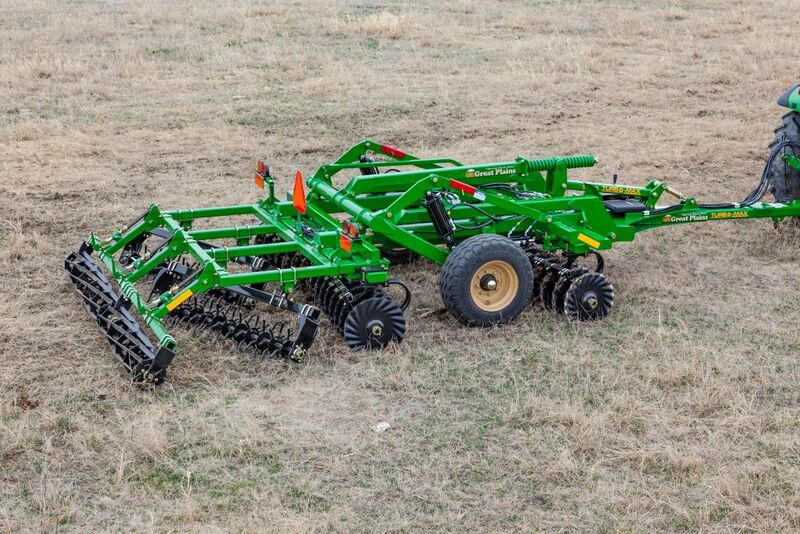 When field conditions are not ideal, the harrow can be raised. 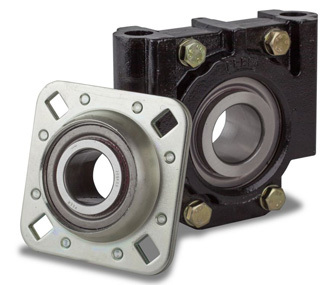 Reduce maintenance time and extend life of bearings. These 360° self-aligning bearings are never sideloaded. A six-lip seal on each side locks in grease and prevents contamination. Additionally, the walking beam pivots utilise Teflon™-coated bushings, eliminating the need for tapered bearings and grease in pivot points.